Product prices and availability are accurate as of 2019-04-22 10:10:17 UTC and are subject to change. Any price and availability information displayed on http://www.amazon.com/ at the time of purchase will apply to the purchase of this product. US Army MOLLE II Fighting Load Carrier VEST + 2 Canteens + 2 Covers. Condition: Brand NEW in Bag. 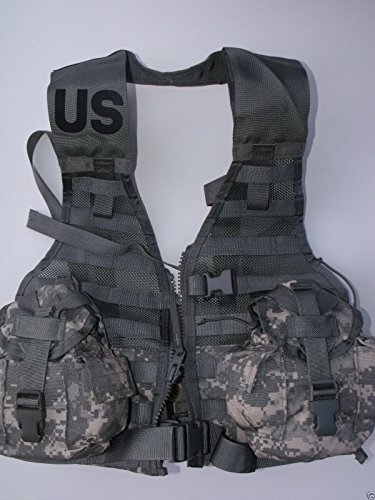 VEST: This quality flc has eight rows of molle ii 1" webbing on the outside to attach pouches or any gear you may want to haul around. Also includes 2 inside mesh waist pockets with velcro closures. One size fits all. Fully adjustable as far as width and height and will fit up to a 48" waist. Can be zipped up or buckled. 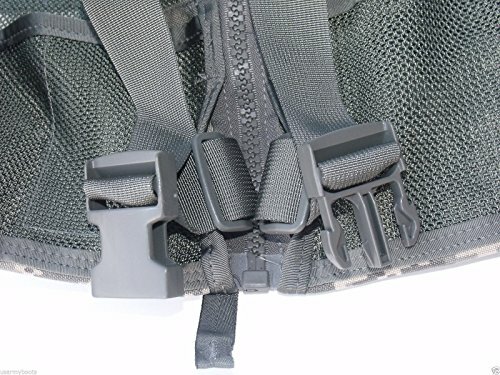 Waist features a "T" shaped webbing tab on each side that can be slotted in at any place along waistbelt to adjust width. 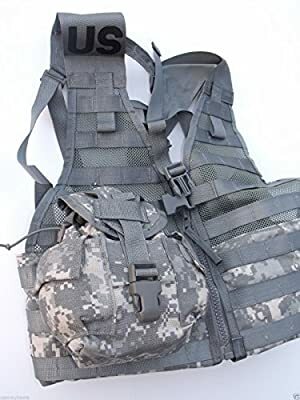 Great for Hunting, Paintball, Airsoft, Tactical Operations, or any other outdoor activities. NSN - 8465-01-525-0577. Manufactured in USA by US Government, Specialty Defense Systems or Michael Bianco. 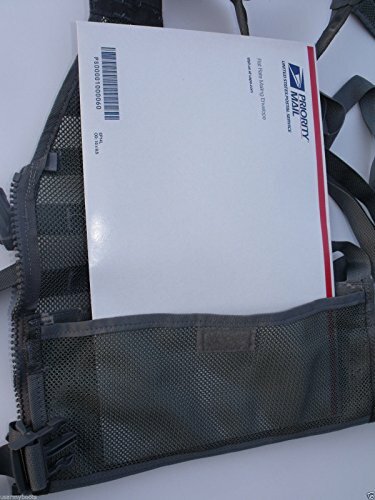 COVER: Made of heavy-duty nylon Cordura and measures approximately 7" tall X 5" wide X 3" deep. Flap cover with a Fastex buckle closure. 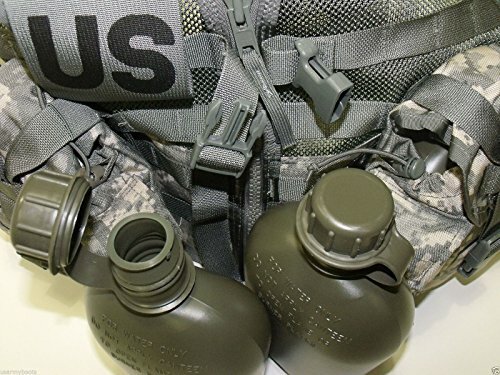 An elastic draw cord around the neck to hold the canteen in place if the flaps are not secured. On the exterior are two small pockets measuring 3 ½ X 3" X ¾" deep. 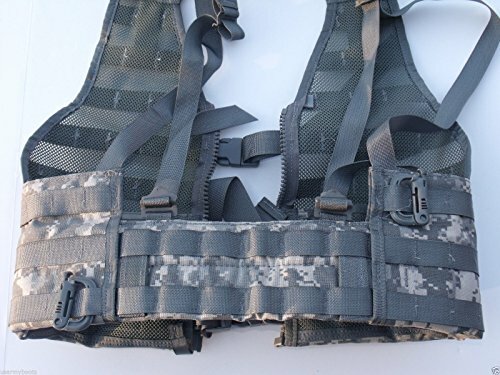 2 Straps on back to secure to belts, backpacks etc Genuine Military 1 Qt. CANTEEN: Made of high density polyethylene (hdpe) plastic. rigid, single wall construction. Screw cap. holds any type of liquid. 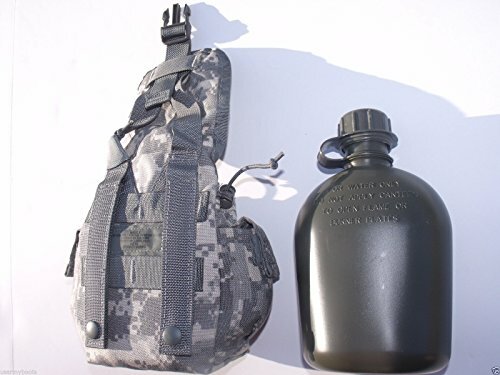 fits into GI canteen covers. Issued by the U.S. Government! Made in USA! 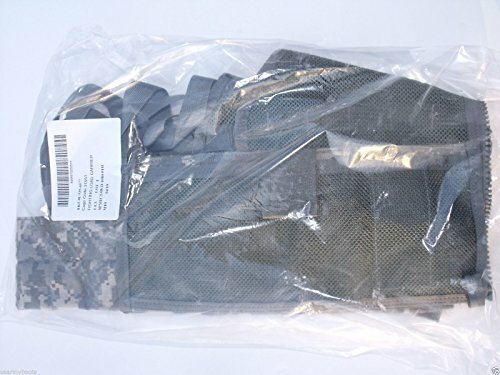 US Army MOLLE II Fighting Load Carrier VEST + 2 Canteens + 2 Covers Condition: Brand NEW in Bag. One size fits all. 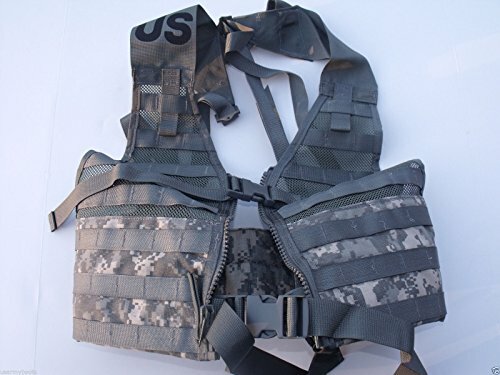 Great for Hunting, Paintball, Airsoft, Tactical Operations, or any other outdoor activities. Made in USA! Issued by the US Government!